Iranian Foreign Ministry Spokesman Bahram Qassemi has strongly denounced a deadly terrorist attack in the Egyptian city of Arish, which killed and wounded hundreds of people on Friday morning. In a statement on Friday, Qassemi blasted the brutal attack and expressed sympathy with the Egyptian nation and the bereaved families of the victims. “Undoubtedly, the Takfiri terrorism that is suffering the heaviest defeats these days in the region does not refrain from making any desperate effort and ruthless move to assert its existence once again,” he noted. “This sharply increases the responsibility of regional governments to gain a real and accurate understanding of terrorism and to seriously and collectively counter it,” Qassemi went on to say. He also called on all nations and governments to be as vigilant as possible at this particular juncture in the face of new plots by the bloodthirsty losers. 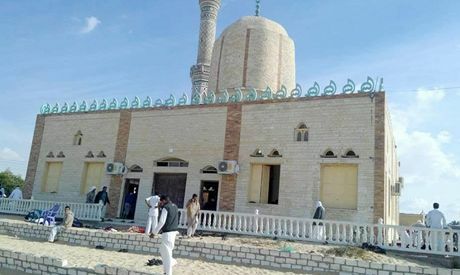 At least 200 people were killed and another 125 injured in an attack on a mosque in Egypt’s North Sinai region on Friday, Egyptian state media reported, making it one of the deadliest attacks ever carried out against civilians in the province. The attack targeted Al Rawdah mosque in Bir Al-Abed, in the west of Arish province, MENA said.